Shout-out to the Almagest student news very own Emmy Lamb, Morgan Pitner, Patrick Booker, and Montavious Goss. 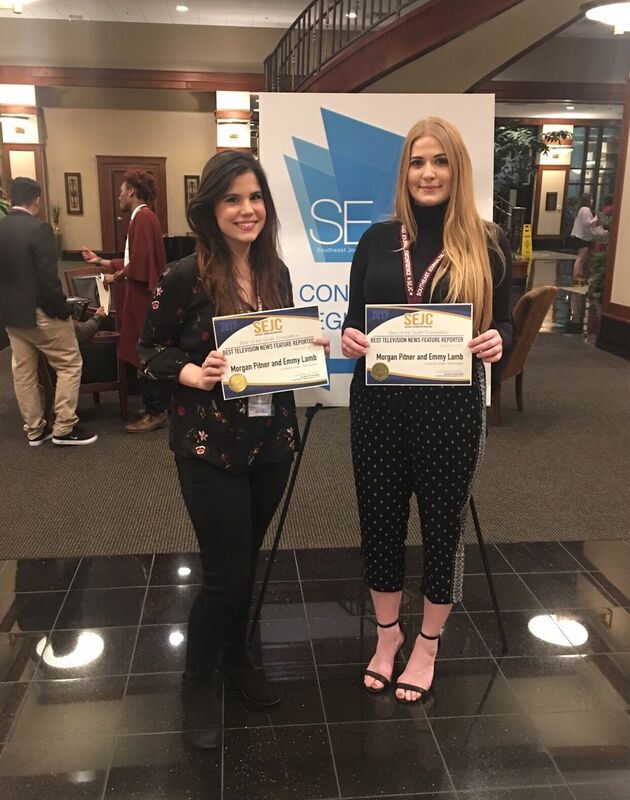 They represented LSUS at the 2018 Southeast Journalism Conference (SEJC). The event was held at Harding University Searcy, Arkansas. A very special shout-out goes to Emmy Lamb for winning 1st place in the news writing “on-site” competition. Emmy and Morgan took 10th place, out of over 400 entries, for Best Television News Feature Reporter. The Almagest website took 9th place for the Best College Website. The SEJC had its inaugural convention in 1987 and has continued to hold a convention annually. According to the SEJC website The Southeast Journalism Conference is a vibrant learning community of collegiate journalists in a variety of media disciplines honing their craft through professional development and the Best of the South Collegiate Journalism Competition. SEJC is a primarily academic organization composed of more than 45 member colleges and universities in all states across the Southeast, including Alabama, Arkansas, Florida, Georgia, Louisiana, Mississippi and Tennessee. It was created to encourage greater interest in student journalism and to form closer ties among journalism schools in the Southeast United States. LSUS Almagest has attended since 2016.